Is Microsoft turning Cortana into Clippy 2.0? Microsoft has recently been reorganizing its teams, and it now appears that it has moved responsibility for developing Cortana, its virtual assistant, from the AI and Research team, to its Experiences & Devices and Office team. This is noteworthy, as it could be an indication of Microsoft’s changing attitude to Cortana. Initially, it was pitched as a competitor against the likes of Amazon’s Alexa and Google Assistant, but while those two voice assistants have gone from strength to strength Cortana hasn’t been nearly as successful, despite being built into Windows 10. Instead, it looks like Microsoft is making Cortana less of a standalone product and even more closely integrated into its software, especially on the productivity side of things. Brad Sams of the Petri website reports that for some time now the Office team have been lobbying to move Cortana over to its control. With that now happening it looks like Microsoft wants to position Cortana as a productivity tool, rather than a more general virtual assistant – and one which most people chose to ignore anyway. It certainly doesn’t mean Microsoft is giving up on Cortana, however. This move could actually have quite the opposite effect, with Cortana appearing more consistently across Microsoft’s software and services. 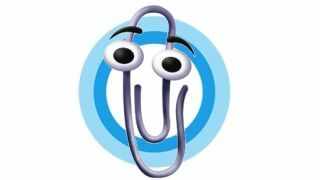 Hopefully Cortana will continue to evolve into a genuinely useful tool that can help boost productivity, rather than being an annoying distraction like Microsoft's last attempt to put an assistant into Office: the generally reviled Clippy.